India blazed through to win the sixth ODI against South Africa on Friday and once again it was centurion skipper Virat Kohli, who led from the front scoring his third century of the series. Kohli bagged both Man of the match and Man of the series as India clinched Momentum Ons Day Cup 5-1. So focussed and concentrated as a batsman! 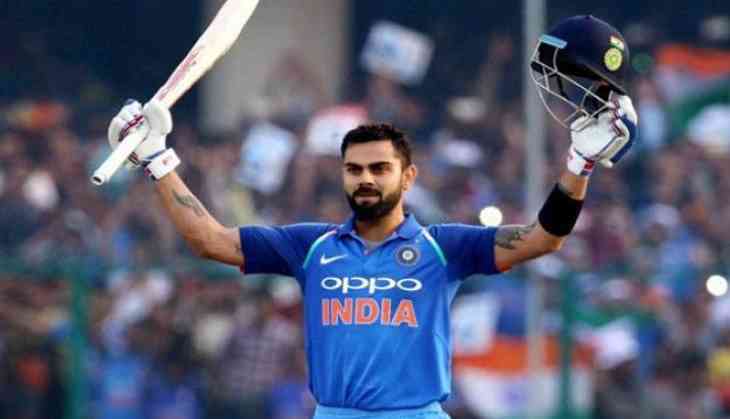 Kohli also earned priase from former crickets for his performance in the series where he scored more than 500 runs and thus, became the first player to do so in a billateral series. Outstanding effort by the boys winning 5 to 1 against South Africa in Sa will go down one of the best series wins away ! Congratulations to @imVkohli on 3 tons unbelievable batting !! !